Since Nintendo kicked off their successful 8-Bit era they’ve generally been the company that set the trends. Sometimes it doesn’t quite work in their favour, but other times their bizarre concepts just click for whatever reason. Donkey Kong Jungle Beat is an example that falls in the latter camp. It shouldn’t be any good at all, but those DK Bongos made it one of the most unique and fun platformers ever created to this day. The big N has the big ape to thank for their existence in this industry. It was the Donkey Kong arcade game that originally put them on the map in the early 80s. Since then we’ve seen him appear as the villain, the hero and everything in-between. In the GameCube era Nintendo had their take on the rhythm genre and of course they decided on something completely left of field. Instead of a guitar or some other musical instrument, they launched the DK Bongos that had you banging the bongos to the tune of Nintendo classic tunes and other classic songs in Donkey Konga. This led Nintendo to Donkey Kong Jungle Beat – a platformer best played with bongos. Players could use the GameCube controller to play the game, but it was way more fun using the nontraditional DK Bongos. The DK Bongos hardware has three buttons in total – a start button and two bongo drum. 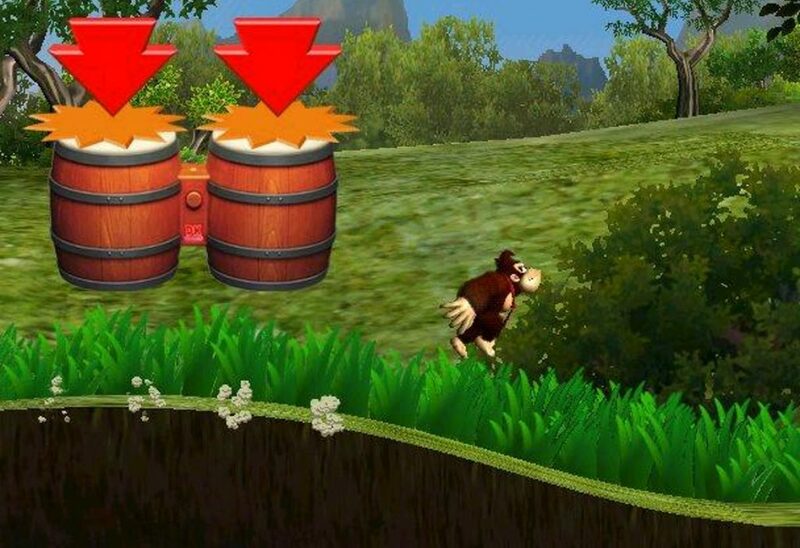 Tapping the right or left bongo drums will have the big ape running in either direction, while hitting both bongos simultaneously will have him jumping. The fourth input comes in the form of the microphone. A simple clap will have him grab fruit and other objects. These basic moves form the fundamentals of the game. As with all platformers you’ll play through a very basic level to get the hang of the new controls, but once you’ve adapted to your new playing style things get quite involved. 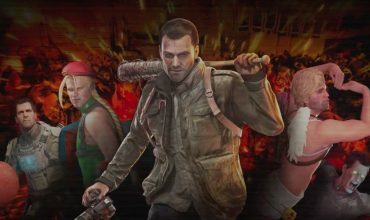 It’s probably the most violent Nintendo first-party game I’ve ever played, but it’s an incredible amount of fun. Tapping the right bongo furiously, while combining it with a double bongo hit (to jump) and a clap in mid-air to grab some bananas is more complicated than it sounds. Later levels will push these boundaries as you’ll be wall-jumping, swimming, performing backward leaps and quick drops. It’s the simplicity of the controls that promote the depth and, as with most Donkey Kong games, you’ll have other animals to aid you on your quest. Donkey Kong can ride a Mooshin (a bull-like creature with long horns) to gain extra jumping height for tough out-of-reach bananas, while the Helibird can flap his wings to glide DK to bananas and other parts of a level he would otherwise not have access to. All these animals are controlled using the bongos and it all just works so flawlessly. Donkey Kong has one reason for going on this adventure and that is the quest for Kinghood among all the worlds. Each world has a king in charge of it that requires a one-on-one fight with Donkey Kong when he reaches the end of any particular world, and this is where the game jumps to life. Thanks to the unique controls you feel as if you’re actually DK taking part in the fight. 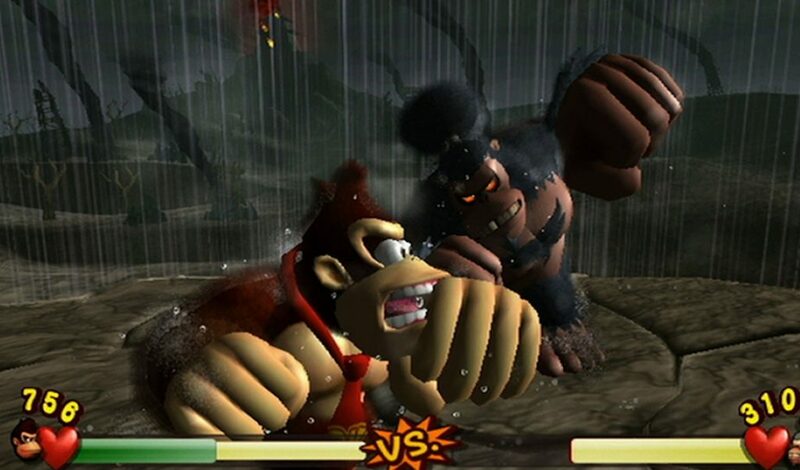 Your objective is to pummel each opponent to a pulp with Donkey Kong’s powerful arms, but also timing a dodge well when your opponent tries to land a shot. 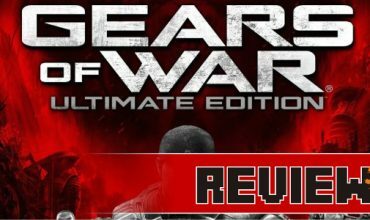 Dodge the shot and you can catch them off-guard with another onslaught of punches to the face. 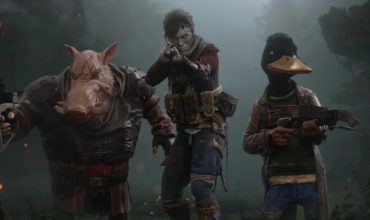 It’s probably the most violent Nintendo first-party game I’ve ever played, but it’s an incredible amount of fun. Bashing away at the bongos to have Donkey Kong react to each and every button press and timing a dodge (by clapping) just right brings an immense amount of pleasure. Your efficiency is always rewarded in the amount of bananas you walk away with at the end of any level. Bang the drums as quick as you can to have him swiping bananas, which gets added to your overall rating. 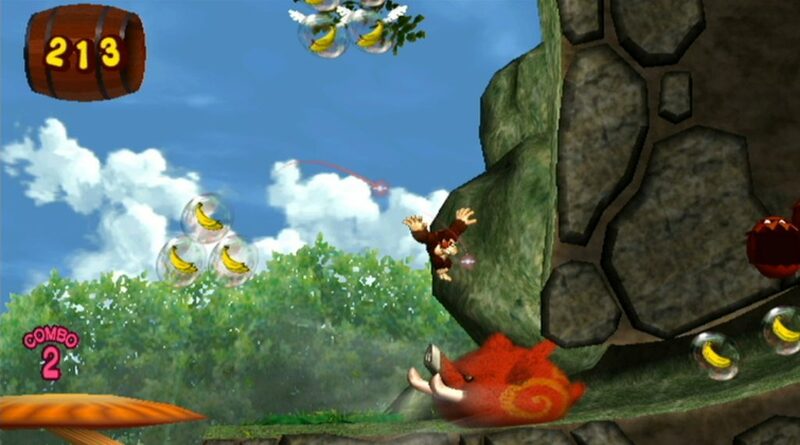 Donkey Kong Jungle Beat would ultimately port to the Wii as well, where players could mimic those bongo-banging ways with motion controls, hitting thin air. As you might imagine it just does not replace the feeling of bashing away at a set of bongos. Neither does a GameCube controller, so if you ever plan to buy the game, be sure to invest in some hard-to-find bongos. It’s worth it. Considering that the Switch has a GameCube adapter there is nothing stopping Nintendo from releasing this classic for a new generation, but until then, there is really only one place to really play it. GameCube owners owe it to themselves to track down a copy of the game, along with the bongos. There aren’t many games that support the bongos and this is the only one that is not a rhythm-based title. Donkey Kong Jungle Beat is a platformer game unlike any other, but it surely beats the hell out of many other games in the genre. The only non-rhythm DK Bongos game. Bashing the bongos to punch a boss is fun. ...but it's too easy using a GameCube controller. Can get a little repetitive towards the end of the game. Donkey Kong Jungle Beat is the only game that makes use of the DK Bongos that isn't a rhythm game. The simple controls are fun to play with, but later levels will require that you combine the various controls to overcome some of the tougher obstacles. A very unique GameCube platformer unlike any other.